Is it easy to move around our town centre? What are the obstacles you face? How can we flag these up for action or to alert visitors to the area? Your thoughts and answers to the above questions will of course be influenced by many personal factors including your physical abilities, your age and any limiting disabilities you have. A steep gradient or camber that may seem like an inconvenience to one person might mean that part of town is completely inaccessible to someone else. Crowdsourcing is a great way to gather these diverse first hand experiences and we’ve partnered with Open Data Manchester to help us gather this information and publish on an open map platform. Since winning funding from the Open Data Institute in December we’ve held four workshops with the aim of mapping mobility in and around the town centre. Participants from two local organisations with a wealth of local knowledge kindly offered to tell us about their journeys – Disability Stockport and Age UK. Open Data Manchester co-designed the workshops with the two groups to get the most from the time we had with them. These sessions allowed time indoors and time for exploratory trips to witness the routes people take navigating the streets of Stockport. The sessions have involved group discussion and mapping exercises on large scale printed maps – who doesn’t like scribbling on big maps! These have then been digitised, photographed and added to our internal mapping system. We’ve been delighted by the enthusiasm of the participants despite our outdoor sessions being limited by the recent snow. Many obstacles have been identified and we’ve had some good feedback on what works well to aid mobility. Once we’ve finished the data collection phase we want to make this information as available and open as possible. We have been working with the OpenStreetMap community to work out the best way of displaying this information in addition to publishing on our own website. OpenStreetMap is a free and editable map of the world, created and maintained by a huge international community. It’s used in numerous projects by local communities, governments, software developers and more, with nearly 5 million registered users and 1 million contributors from all over the world. It includes data about roads, buildings, addresses, shops and businesses, points of interest, railways, trails, transit, land use and natural features, and much more. Up to now the sharing of data by the public sector through OpenStreetMap has been minimal and it’s hoped that one of the outcomes of this project is a better understanding of how we can use this medium to publish and gather information. The project will be finished by the end of March and links to the maps produced will be shared on our website. Please let us know if you have any feedback on how you find getting around the town centre. 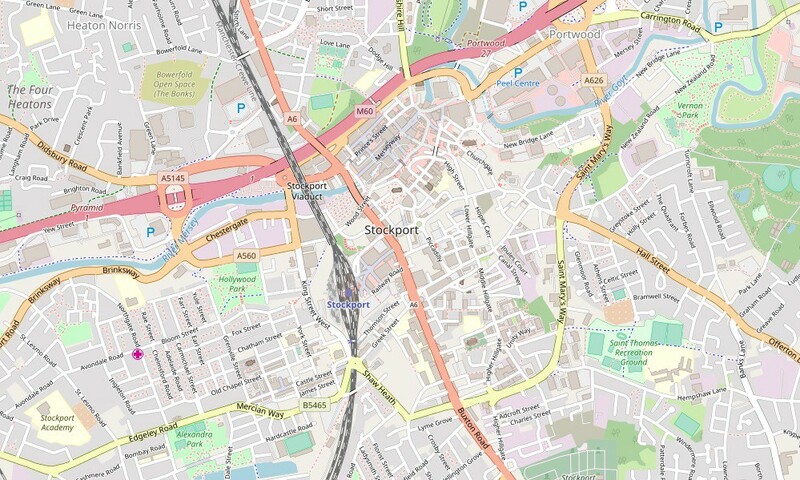 If you’re interested in how you can contribute to OpenStreetMap, our partners Open Data Manchester are running a free beginners guide session on the 26th February, further information here.